Peat bogs are favorite hunting grounds of archeologists because of the many odd surprises these marshy wetlands have revealed from time to time. These wetlands of decaying plant matter have remarkable preservation properties. Low in oxygen and high in tannic acid, bogs are perfect place to fall into and have your bodies stay intact for millenniums to come. Ritual sacrifices by drowning in peat bogs were common in northwestern Europe. We know this from the thousands of “bog bodies” that have been pulled out from bogs across Europe. A variety of Bronze-age artifacts and mediaeval manuscripts have also been recovered by peat-cutters—people who harvest the peat and use it as fuel for cooking, throughout the centuries. Another ubiquitous find are stashes of butter, carefully wrapped in wooden buckets and barrels and buried in peats for reasons that are not entirely clear. 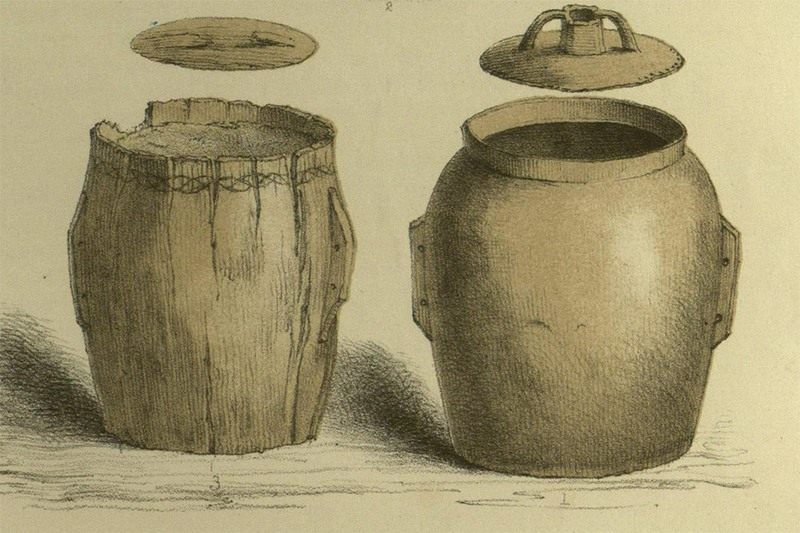 Illustrations of a barrel used to store bog butter and a churn. A study conducted in the 1990s to test the preservation qualities of peat bogs found that the combination of cold water temperature and increased acidity produces a kind of bacteria that can survive without oxygen. This bacteria in the samples of meat the researchers buried in peat bogs made the meat unpalatable to other bacteria that normally decompose dead tissue. Laboratory analyses of the meat retrieved after two years in the bogs were found to have roughly the same levels of bacteria and pathogens as meat stored in a modern freezer. The meat-preserving ability of bogs were known to Ice Age hunters ten thousand years ago. When small groups of hunters killed a mastodon they preserved the meat underwater in ponds and bogs for the lean winter period. Researchers have discovered large cache of mastodon meat at various sites in North America. It is possible that the caches of butter found in peat bogs across Ireland and Scotland were buried for the same purpose—preservation. They were probably meant to stay buried for a few season at most, but somehow got lost, or forgotten, or their owners died. The bog butters we have today are thousands of years old—so old that their chemical signature had changed significantly. For a long time, scientists couldn’t tell whether they were dairy products or animal fats. Recent research have confirmed that bog butters are indeed butter. One hypothesis that have emerged from the significant change in the consistency, smell and composition of the butter is that maybe the early people wanted the butter to change chemically, like a kind of primitive food processing. In many traditional cuisines, burial is an essential step in the preparation of highly perishable foods such as meat and dairy products. Many foods are also deliberately fermented to acquire new taste. The Rev James O'Laverty, writing in 1892, on the true reason why the Irish buried their butter in bogs, suggested that it was so that the butter could undergo a fermentation process to produce a more nutritive product. He maintained that science and experience taught us that many substances, after passing through a state of fermentation become much more nutritive. Another reasons for burying butter that has been suggested is security. In mediaeval times, marauding enemies often plundered food stock. Butter, being precious, could have been hidden in bogs to prevent its theft and destruction. Votive offerings to god for past abundance, and sovereignty rites which were common during the Bronze and Iron Ages, could be another reason why so many butter have been pulled out of Irish and Scottish bogs. 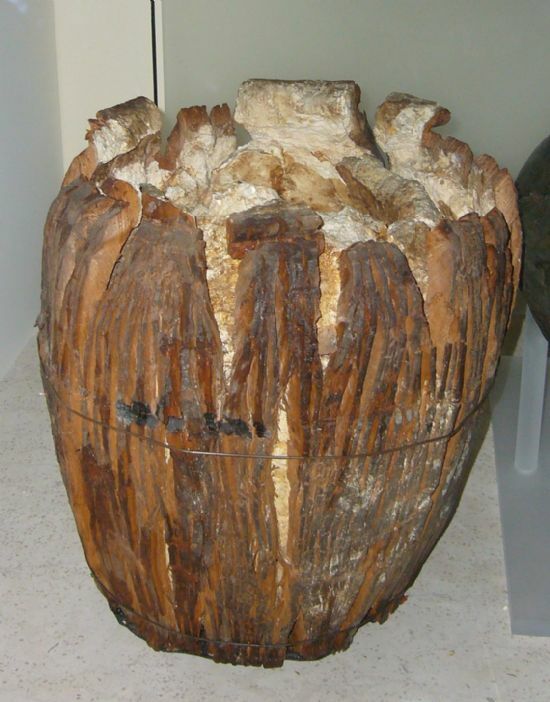 Over 430 instances of bog butter have been recorded, of which nearly two-thirds came from Scotland and Ireland in the past two centuries. 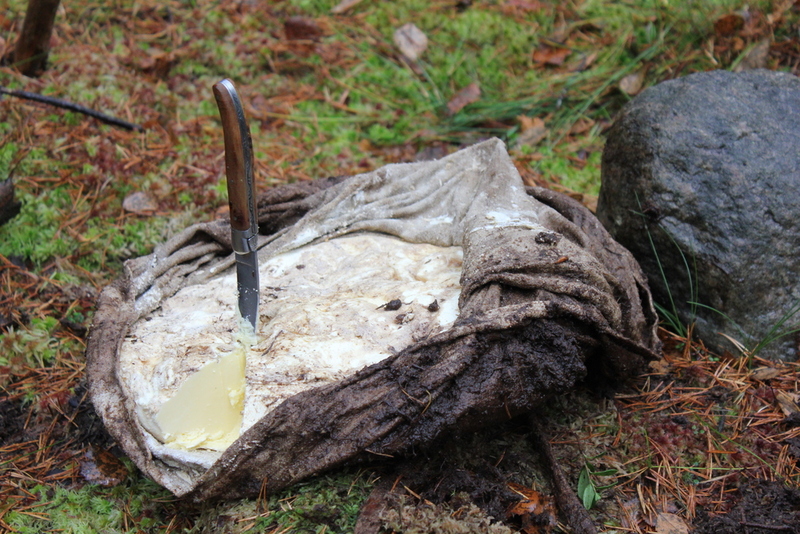 The earliest bog butter dates back to 1500 BCE.